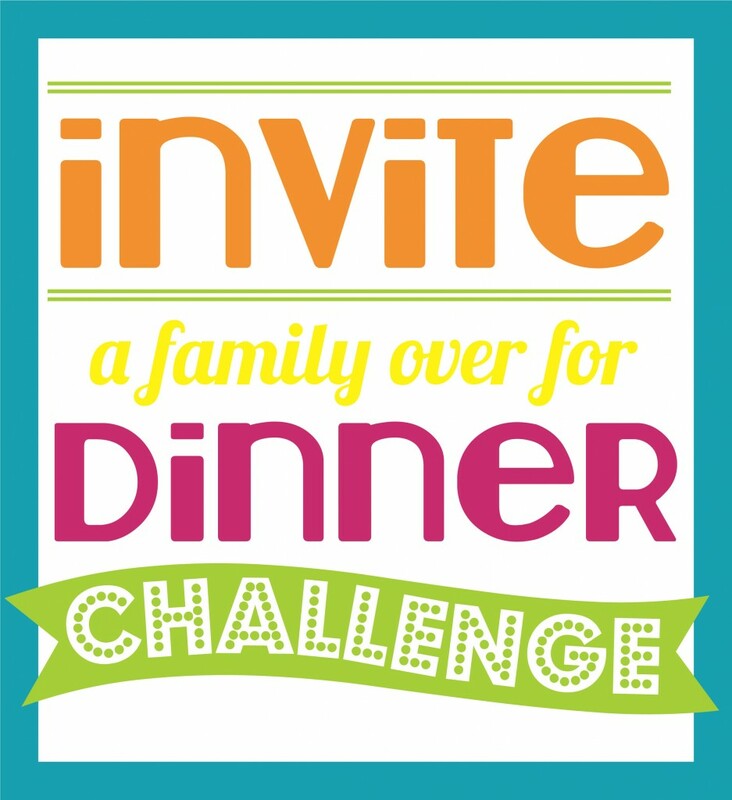 Invite a Family over for Dinner Challenge! I felt so much love and support from my GLOW post last week, thank you!! I also had many people who commented/emailed saying they were going to invite a family over for dinner soon. I guess that post had multiple messages, but it made me so happy to hear this message came out of it, too! I got a fun idea, and I thought I’d officially encourage everyone out there reading to do the same and invite a family over for dinner!!! How about it, friends? This will be an ongoing challenge that I’d like you all to think about occasionally, but also an immediate challenge to do it by April 30th. If you accept, comment below (it helps to be held accountable) and then I’ll post about MY experience on April 3oth, and you can all comment THEN about your experience, too! Won’t that be fun?!? We need a quick deadline or we’ll a) forget or b) make excuses not to do it. 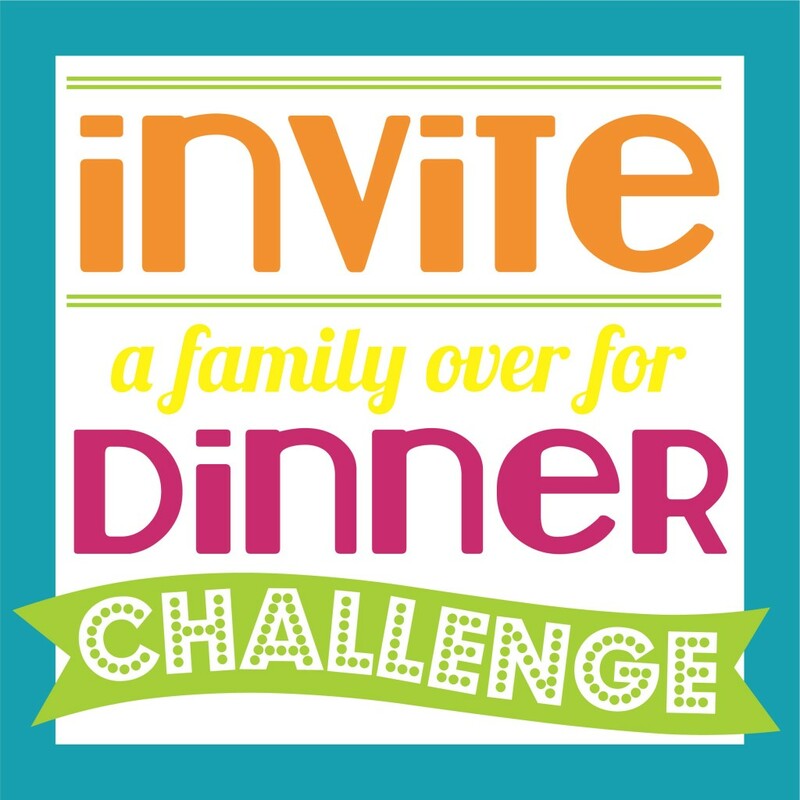 I’ve even got a little hashtag for you: #invitefamilychallenge You can take a picture of the food you are making, your table setting, or the friends you have over. We shall now discuss the reasons why this might be hard for you to do. I hear lots from people, so I’ve gathered a lot of really great excuses reasons of why it is HARD to invite a family over for dinner. I’m sure there are lots more (feel free to list them in comments). For some of these, yes, it can be hard to do this if you are not feeling great about yourself or your home or your kids for that matter. But I think we all realize once we try to forget about these things and JUST DO IT, we are SO glad we did! If you are concerned about cooking, order pizza! Time, the lack of it affect us all…none of us more than the other. My biggest reason for not doing it as often is generally #2. I want my house to look nice when we have others over, and it takes a good amount of effort. BUT, I know I’ll enjoy it for at least a few days after that, and frankly the house needed it anyway. Sometimes…I’ll invite someone over for dinner because I need to whip my house into shape! It makes your heart HAPPY! I’m sure there are lots more, but really, the good always outweighs the bad in this situation. There are times when I’ll tell my kids that we are having over a couple without kids, or someone with a baby and my older boys have a little bit of disappointment that there isn’t someone for them to “play” with. However, I love that it teaches them to adapt and see that it isn’t just those like us, or our age that we can be friends with, but everyone has something we can connect with. I’ve never heard them complain after the fact because they will often play with the baby, or I encourage them to ask questions to the adults, in order to get them involved. If they offer to bring something, it’s OK to take them up on it! I generally suggest a salad or dessert. If they don’t offer to bring something, they aren’t being rude, it just doesn’t occur to them! Ask them if they have allergies to avoid awkwardness later. Ask them if they have food dislikes. We all have them, and though it can be embarrassing to state them, it’s even more embarrassing to push them to the side of your plate. I hate onions, I let it be known. If you try a new recipe, make it a fool proof one. I still laugh about the un-cooked meatballs I served my high school first crush and his fiance when I had them over for dinner with my young family. She sweetly asked if she could micro-wave them. Sometimes I invite a few hours before (and stress NOT to worry about bringing something) and sometimes it’s a week in advance. Sundays are my go-to days because we generally don’t have activities planned on that day besides morning church. Plan on the guests children NOT liking the food you make and you will be pleasantly surprised if they do. Kids are picky and used to their own mothers meals. If you forget their name, just say, “remind me your name again” I do it all the time. 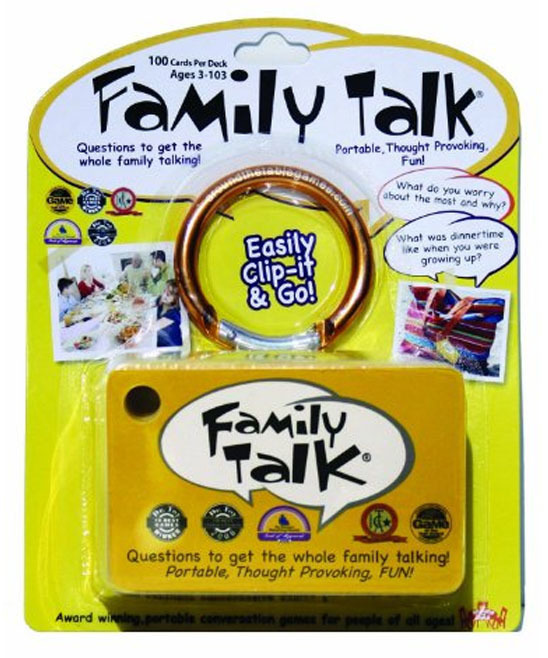 Honestly, the bulk of my conversational questions stem from asking about their family and where they have lived. I am fascinated by life stories. SO many off shoot questions from those. I like to hear about siblings because most people have them, they are a big part of our life, yet they rarely get discussed. I like to hear how many siblings there are, what place people fall in the line up, where do your siblings live now, etc. The living/travel questions can also take on many tangents as well. Just skip the lame ones that say “if you were any animal, what would you be?” Or you could even make up your own questions, write them on a paper and put them in a jar to pass around. I have emphasized inviting NEW people over for dinner to help them acclimatize to a new area, but I also invite over those that I’ve known “sort-of” that I just want to get to know better. Sometimes I invite someone that intimidates me…someone that I want to not intimate me anymore, that I want to get over it. Every once in a while….I’ll invite a good friend. Take a baby step, it doesn’t have to be a BIG step! So will you accept the challenge? It doesn’t have to be every month, just more often than now, how about that? This is to help inspire you to reach out to others in a different way. I’m doing a one time deadline of April 30th to kickstart the idea and generate discussion, then after that it’s just a random challenge to keep this in your thoughts. I’ll put the button up on my sidebar, and if you want to grab one for your sidebar to remember and help me spread the word via social media, I would love it! Just right click and copy the square image above, grab the link to this post, and mesh them together for your sidebar. Who’s going to join me???? Leave me a comment now, and tell me you’ll accept the challenge! Then, I want to hear about it on April 30th! !